Plaça Catalunya (which simply translates as Catalonia Square in Catalan) is considered the geographical heart of Barcelona. 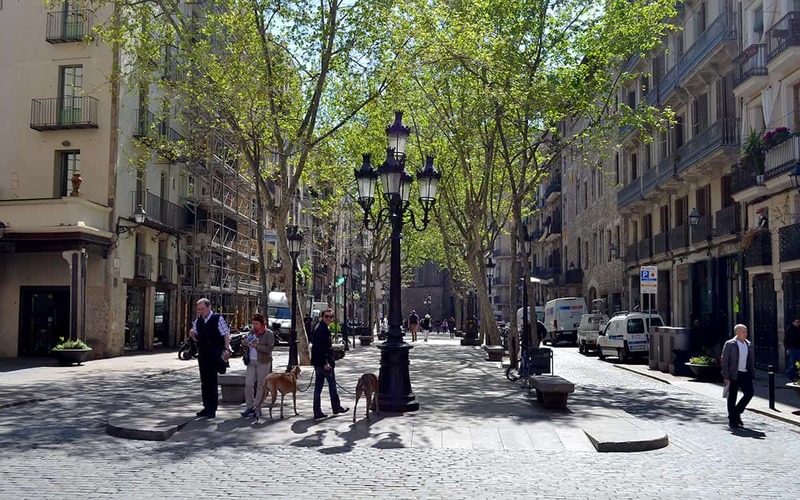 It is situated at the top of the Old Town where it meets the newer 19th century district of L’Eixample and is also where the renowned La Rambla avenue begins on one side and the nearly-as-famous Passeig de Gracia starts on the other. 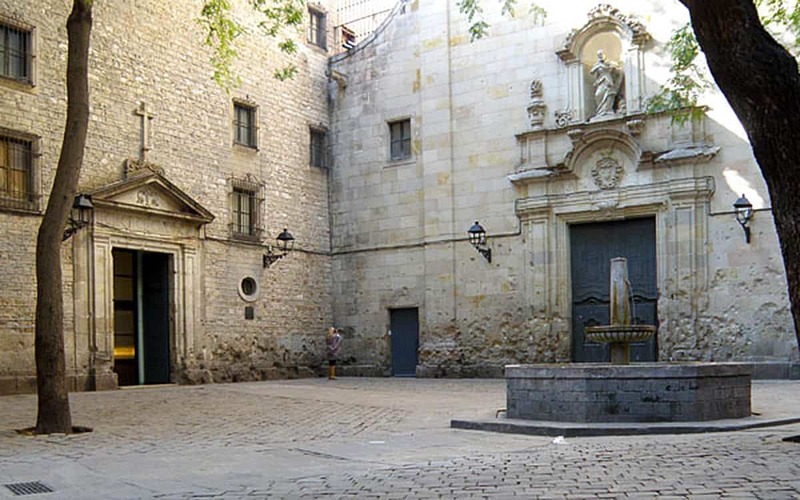 The square itself has limited historical significance, but thanks to its central location, size (50,000 square metres) and name it has taken on a special significance for shows of Catalan identity, be they political protests against Spain’s central government or the victories of FC Barcelona football team. 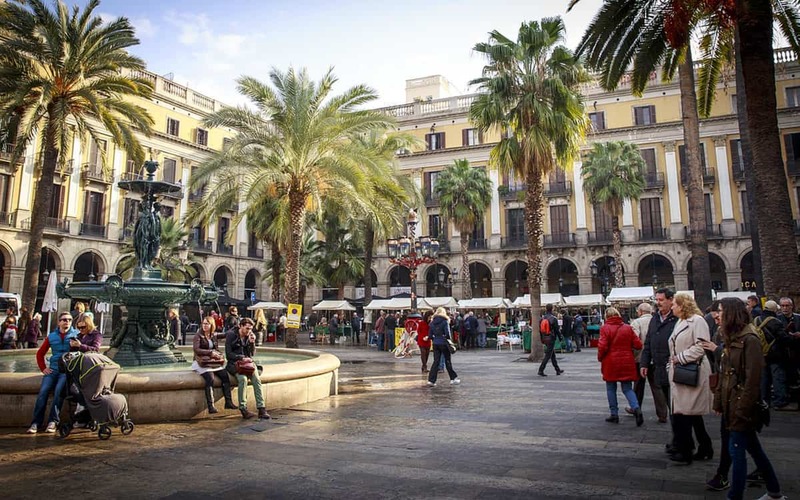 Visitors will enjoy the plants, statues and fountains, although a surfeit of pigeons, tramps and zonked-out backpackers limit any ambitions of the plaça being an idyllic space. Look carefully and you’ll also find a tourist information office.